Why should I choose Josef’s Vienna Bakery for my wedding cake? How do I choose my wedding cake design? 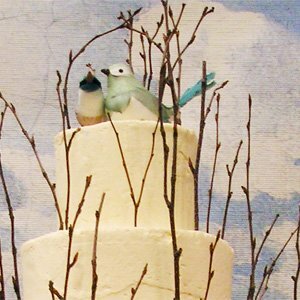 How are Josef’s wedding cakes priced? I like the look of fondant, but I don’t like the taste. Does my cake have to be all one flavor? How can I see more of your wedding cake designs? What do I have to do to reserve my date? How far out do you book wedding cakes? Do you ship cakes outside of the area? How can I contact Josef’s Vienna Bakery? Josef opened his doors in 1980. Today, we are Reno’s oldest and most established bakery. We believe that your wedding cake should be wonderful inside and out. Through our commitment to using the best domestic and imported ingredients, we’ve been able to maintain our great reputation. At Josef’s, we are committed to making your wedding cake the most delicious cake you’ve ever tasted. Scratch baking means we use separate ingredients: eggs, cream, butter, flour, and sugar. We break the eggs and measure the flour. No mixes are used in making your cake. We don’t use anything artificial in your cake, just pure, fresh ingredients. In a world of high food and labor costs, most bakeries can no longer afford this kind of baking. Our calendar fills up quickly, especially between June and September. Give yourself at least three months. Because we work with a small crew, we can only take a few wedding cake orders per weekend. Short notice events can be accommodated, providing our schedule is free. You need to first think about your own personal style. Are you classic and traditional? Are you simple and modern? Do you want a white on white cake? Do you want a dramatic, colorful cake? These questions will help you narrow your search. The internet is a great tool for finding ideas. 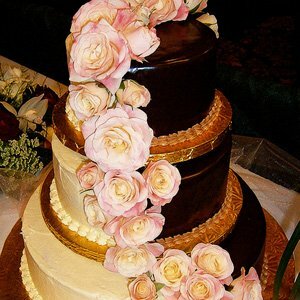 Collecting pictures of wedding cakes you like will help to guide us through the process of designing your cake. Wedding cakes are based on a price per serving. The cost is determined by the icing you choose and the intricacy of the chosen design. Buttercream is the most economical choice. However, most of today’s brides like the look of Fondant icing. We also have Chocolate Ganache and Chocolate Fondant. Most cakes fall between $5.00 and $8.00 per serving. We hear this from brides all the time! At Josef’s, we use an imported Swiss Fondant that is much less sweet than its American-made counterparts. We roll it so thin that it practically “disappears” into the flavor of the cake. When you come in for a consultation, we’ll show you how thinly we roll it, and let you get a taste of it too. You’ll be surprised! Absolutely not! We recommend giving your guests a choice. If you have three tiers, choose three different flavors. Josef’s delivers to any Reno/Sparks location. We also service Lake Tahoe, Carson, Graeagle and many other Northern Nevada areas. Delivery cost is determined based on mileage and includes full setup of the cake, cake table, and any toppers or fresh flower decorations. 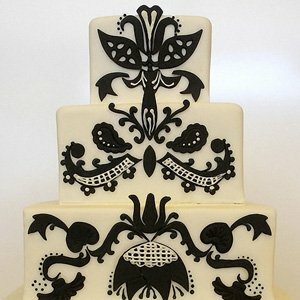 How can I see more of your cake designs? Come into our store and look at our Wedding Cake Book filled with pictures of cakes we’ve done for other brides. Our website galleries offer a few of our designs but our larger collection of photos can be viewed on our Flickr page. The first step is to look at our Wedding Cake Book and decide if Josef’s fits your style and budget. After that, call us to set up a consultation appointment. We can do consultations any day of the week. It will take approximately one hour. At that time, we will go over any questions you have, look at what style you’re interested in, and do a complimentary tasting. The tasting includes our two most popular wedding cake flavors. This tasting will help you get an idea of the quality of our creams, and the moistness of our cake. Additional flavors can be purchased out of our pastry case. In order to reserve your date we require a 50% deposit. The second half of the balance is due 30 days prior to the wedding. 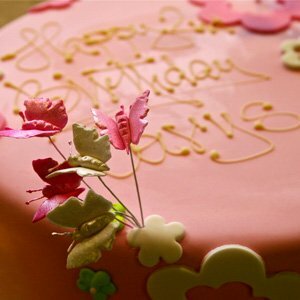 Generally, we only book cakes within the current calendar year. If you have a late winter or very early spring wedding, we can do a consultation after the close of the prior wedding cake season (ie February wedding can consult after September of previous year). Josef’s does not currently ship cakes outside of the area. General delivery parameters are about a 2 hour drive. Call us at (775) 825-0451. If nobody is immediately available to answer your questions, please leave a message with our staff and we will return your call within a day or so. You can also fill out our Contact Form here as an alternative. Please include your wedding date and approximate number of guests with your message!